A two bit thug with a record and a bad attitude, Murry "MeatHead" Marconi acted as hired muscle for various supervillians. 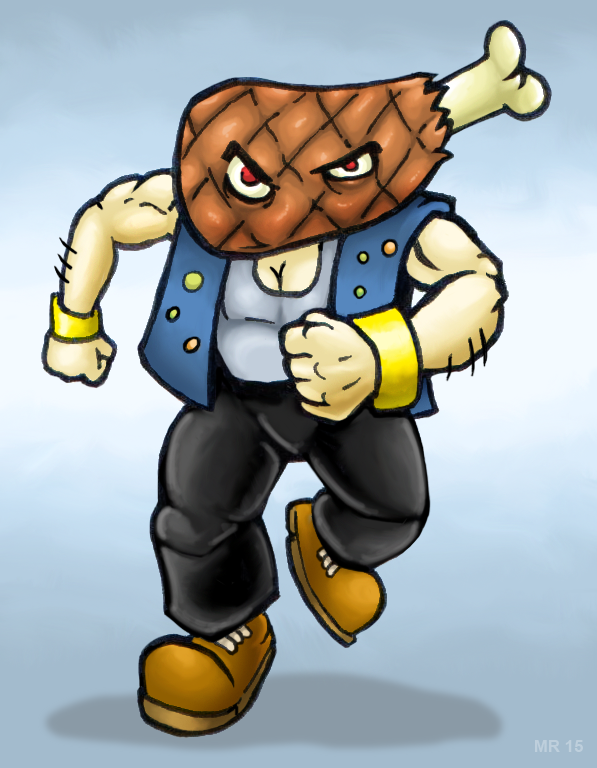 An accident with a strange matter displacement ray replaced his head with a slab of beef, making his appearance match his namesake. He now sells his super-meat powers to the highest bidder. This Murry Meathead Marconi is definitely a “freak mutant monster”. Lol this guy has a slab of meat for a head. Who comes up with this stuff?